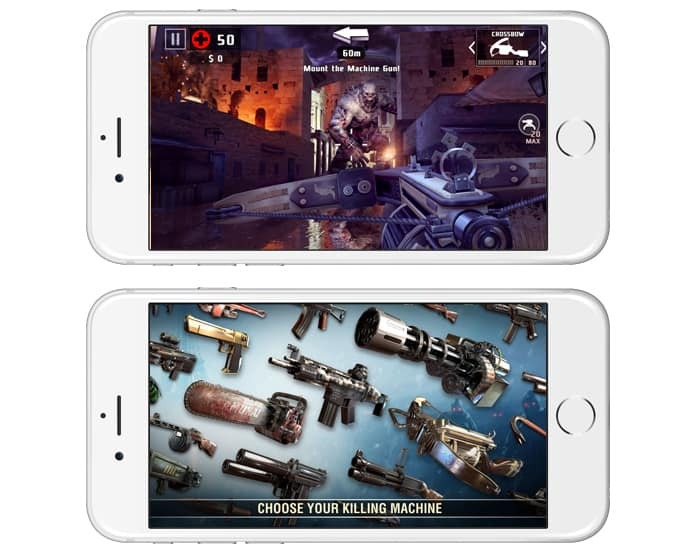 Mobile gaming has evolved to great lengths since the past decade. Some of you may still remember the good old memories of playing the brick game on your Nokia 3310 handset. Right now, you’re likely hooked in on games like GTA and PUBG. 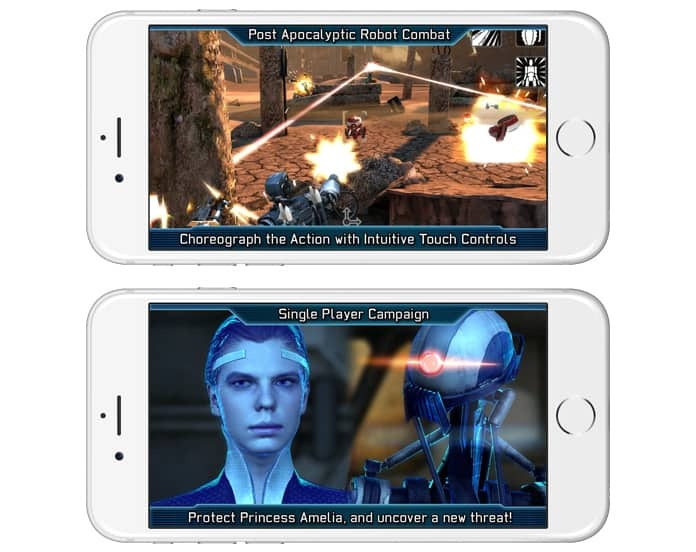 While iOS is a great platform for gaming, most iPhone and iPad users need an internet connection to take advantage of the experience. While this isn’t that big of an issue with low data rates and WiFi hotspots, it’s still somewhat problematic. 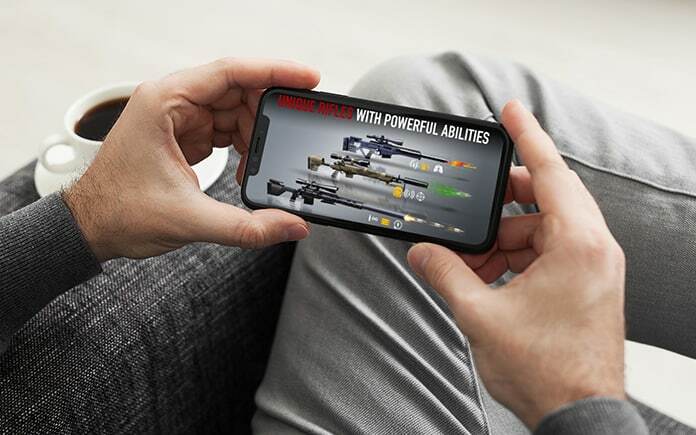 That’s because most offline shooting games consume a lot of data in a short time, which can leave you hanging as you need enough mobile data for activities like checking email, mobile banking, and more. 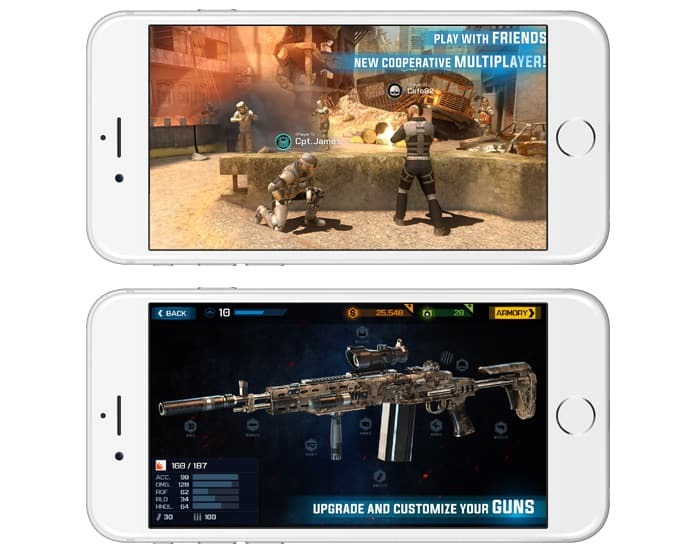 The good news is: there are offline shooting games available for iPhone, iPad and Android users. Because we’re using the keyword ‘offline’, you won’t be able to play the multiplayer mode without connecting to WiFi or using mobile data. That said, you can fully take advantage of the AI-based gameplay. This game offers you a chance to step into the shoes of a gun slinging cowboy. It starts in Arizona, where you are playing an outlaw in an open world where trouble is always near. You see other outlaws, robbers, and even vampires. The best thing is the open world which enables users to go on the map as they prefer. It’s still one of the best games with high-quality graphics out there, even though it came out in 2011. The game is free to download. Epoch 2 is made entirely on rails, so instead of asking the user to try and point the guns in the right direction, it gives them a chance to play with careful timing and a combination of swipes and taps. The backstory shows a world that has been occupied by robots who’re in need of a savior. However, other droids are there to shoot at you. To kill them, tap adversary, and leap your own droid into the air with a special tap, which would allow you to smack the enemies’ heads off. A giant metal worm is always in battle against you at later stages. Exciting! The title costs $0.99 to download. Have you seen Hitman? Yes? Then you’d adore the game. The offline shooter gives you the role of a cold blooded assassin who wears black suits and does missions by taking out threats and infiltrating marked areas. In addition to the standard missions where you work on a contract, there’s a special ‘zombie’ mode that users can enter, it allows them to on a continuous killing spree. 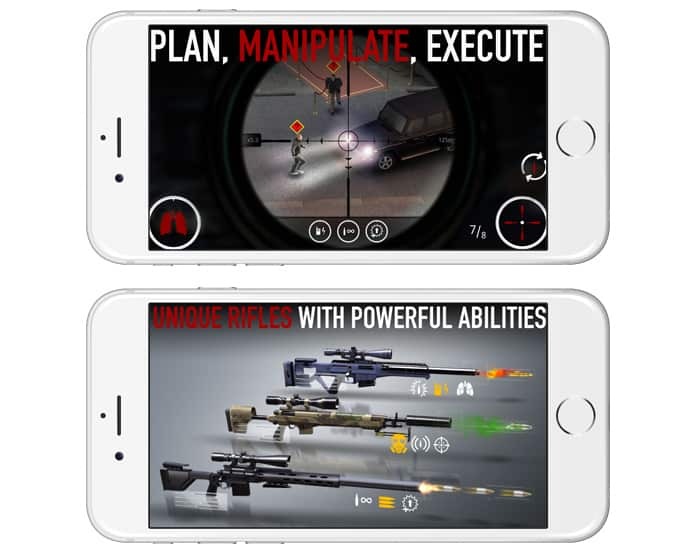 This is one offline shooting games for iPhone that you can play on for hours (the choice of sniper weapons only add to the addiction). Hitman Sniper is free to download and play. 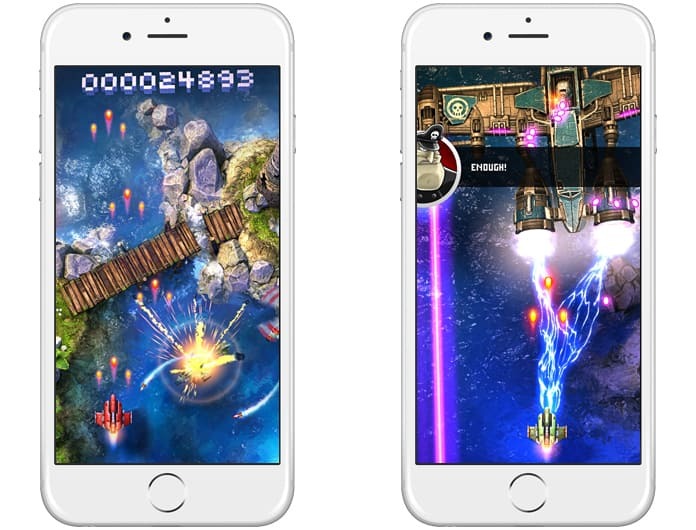 This version of Sky Force is a twin-stick shooter that is similar to its variants that you may have played on standard gaming consoles, with tight control motion, a variety of playing styles, and high-end graphics. If you’re hearing about this game for the very first time, it’s basically an ‘arena’ based shooter; you’ll be in an enclosed space, and will have to fend of foes who’re shooting neon. The right thumb will be used for shooting while the left thumb will be used for moving around. As ships come to fill the vicinity, it is the player’s responsibility to eradicate as they move via the carnage, picking geoms and power-ups along the path. This will improve the multiplier, allowing gamers to achieve a higher score. You can download this game for free. Looking for an eo-noir shooting game to play online? One that features mortal conflicts, adult content, and the likes? Then download Lone Wolf and you won’t be regretful. It offers a storyline with a sense of mystery, where you’re a sniper assassin who doesn’t know why he went on a killing spree. It has a unique story that unfolds as you go via the underworld, shooting whatever comes in your way and uncovering things. Though the graphics of this game may not be as good as you’ll find in other games, its storyline more than makes up for it. Lone Wolf is free to download. Overkill has great graphics and an intriguing storyline. All hope is lost for mankind and you’re going to be the savior. You’ll be killing everyone while staying in your area. You can take cover behind objects or go right or left. The scenario changes with every level. There’s even a new Heli mode where you sit in a chopper and drop not bombs but bullets. Recall Rambo? Then there’s an ‘endless’ mode where you’re making sure the power generator is safe. Otherwise, mankind will go off the grid. Plus, there are several guns and customizations available to keep your appetite for action satisfied. You can download Overkill 3 free of cost. The premise is this game is simple yet popular. You have to do everything in your power to survive a Zombie outbreak – there’s a lot of shooting and a lot of guns. 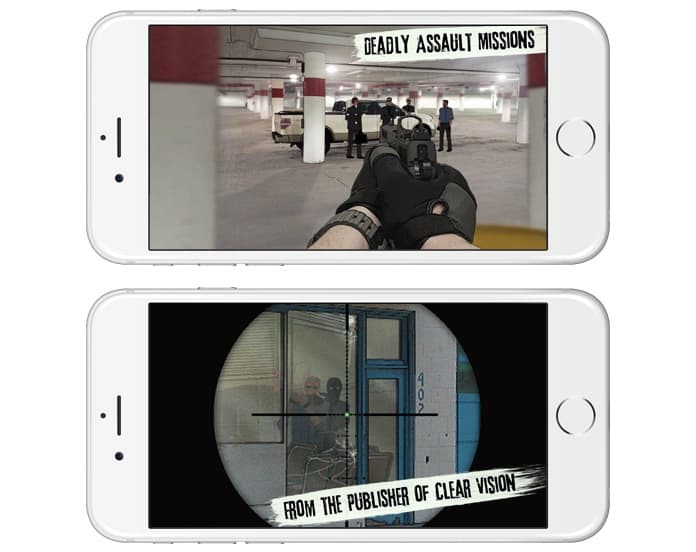 The first-person shooting (FPS) iPhone game gets updated frequently with new missions. There are 500 shooting scenarios and more than 30 locations, so even if you play it offline, there are loads to do. However, you might need to keep a power bank in your pocket; it’s that long in gameplay and addictive. This game it’s free to download. Playing games is not only a great way to get some brain exercise, but it’s also fun way to learn life skills like patience, teamwork, and coordination. 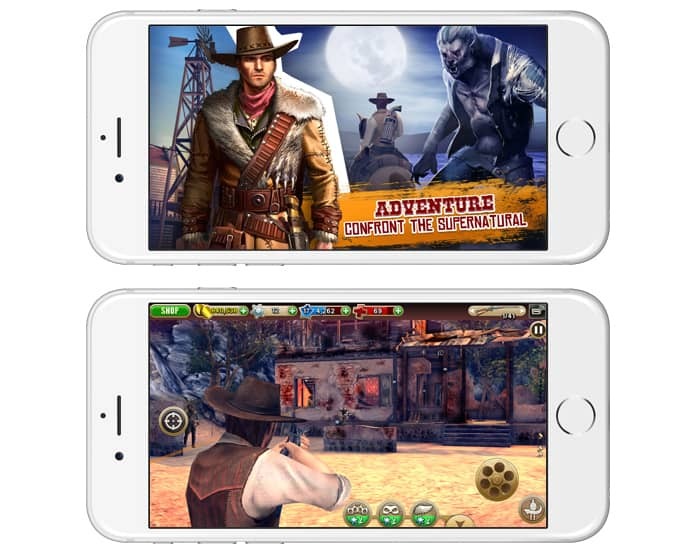 The offline shooting games for iPhone mention in the list above will keep you engaged for hours, which can be a blessing in disguise in places where you can’t connect to the internet or have no other means to keep yourself entertained.